No, just dry dusty trails. Bike and rider covered in dust. BTW hoping new transport will be sorted soon. does it have a prescription windscreen this time to stop ye driving intae things? 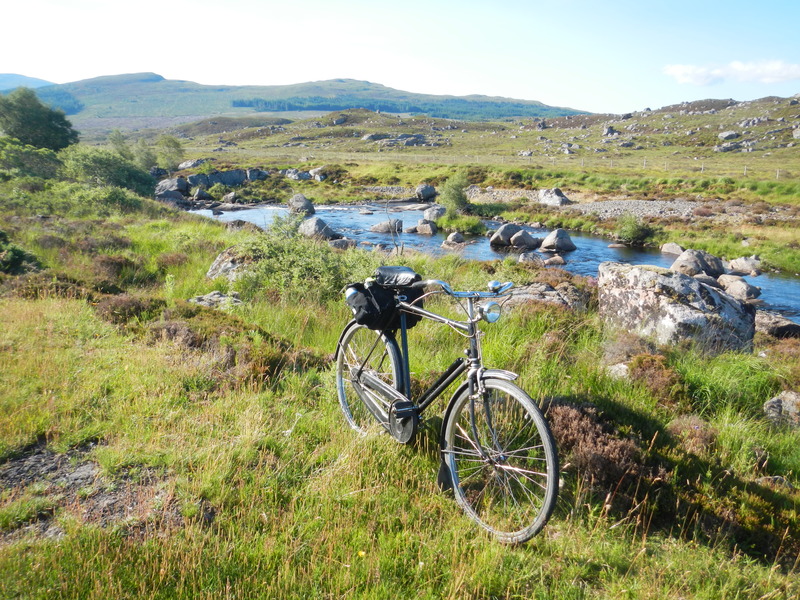 I took my 1947 rod-brake Rudge for a wee trot. 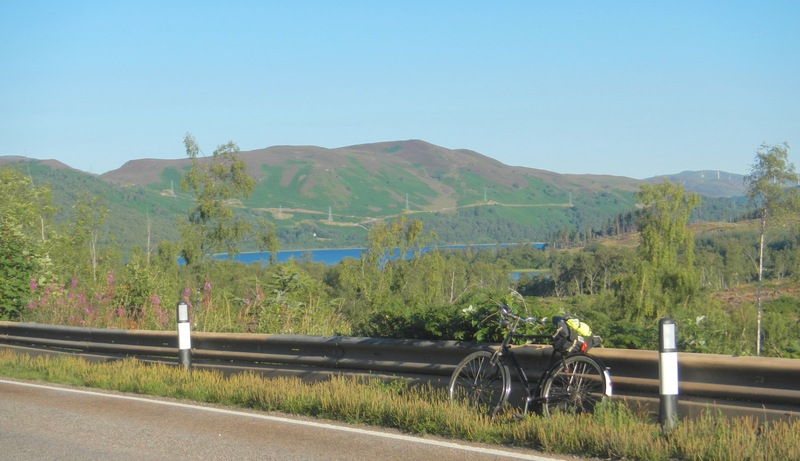 Snack stop south of Loch Glascarnoch. Deanich Lodge. 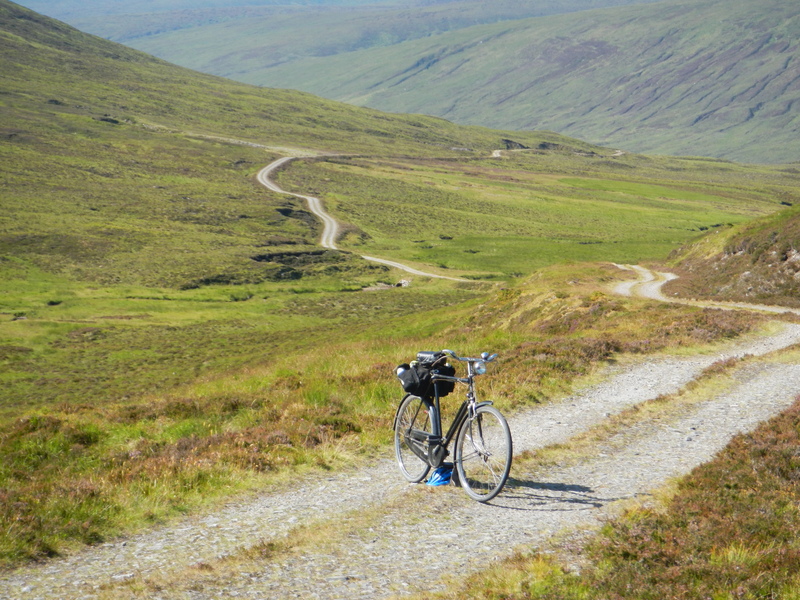 The descent to it was a bit terrifying with rod brakes. I was hitting some of the worse bits at speed despite having my brakes full on. 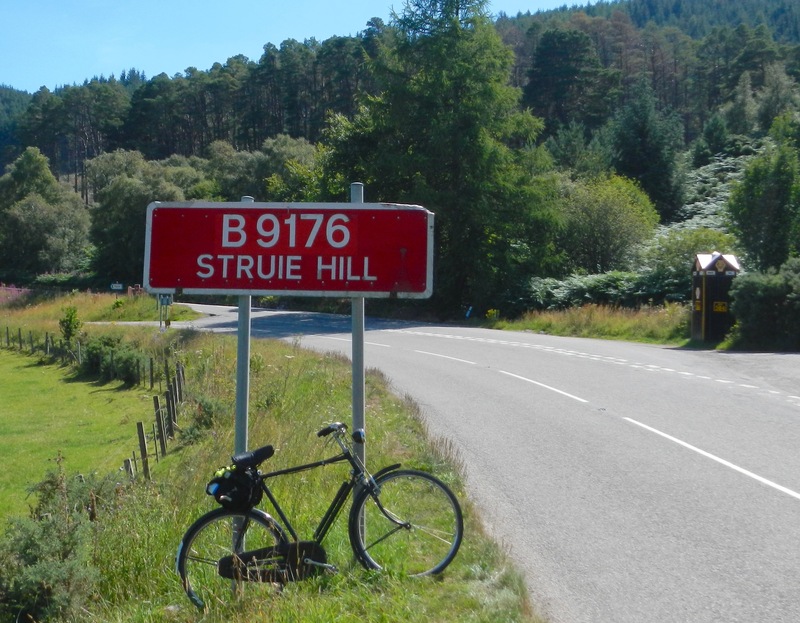 The Struie is one of my favourite climbs, you know you've done a climb when you do it, but it never gets impossible if you persist. However I was tonguing for a feed. 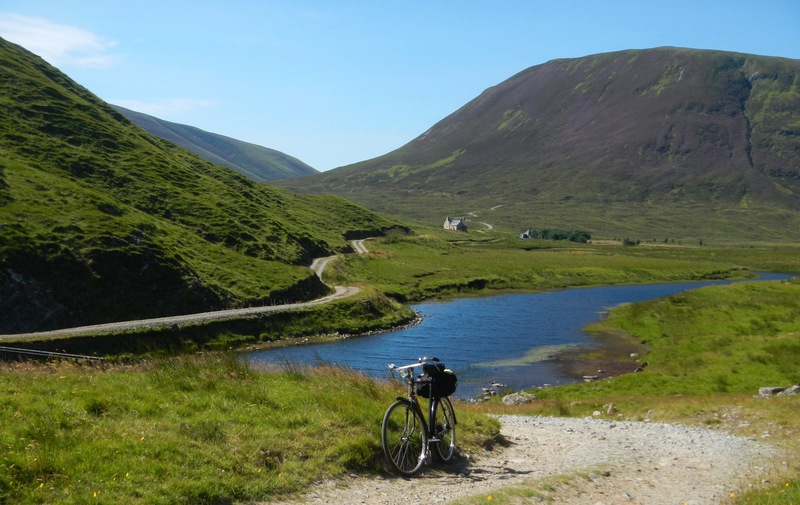 Tain was only an 11 mile diversion and an extra 20 on the ride, and it has a Harry Gows where I could get a sit down with a couple of egg rolls and a big pot of tea. Yum, decision made. But once I got to Tain I discovered they close at 3:30 and I had just missed them. The cafe down the road closed at 4, but with 15 minutes to go I thought I'd be ok. Nup, they were in the process of closing up. I then went to another cafe, closed too. 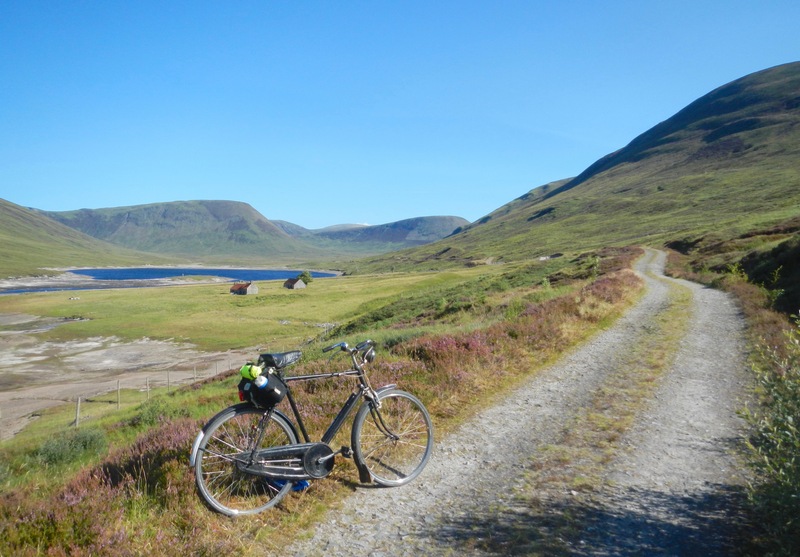 By now I was at the bugger that stage, so I buggered off out of Tain and headed straight for home 26 miles away. 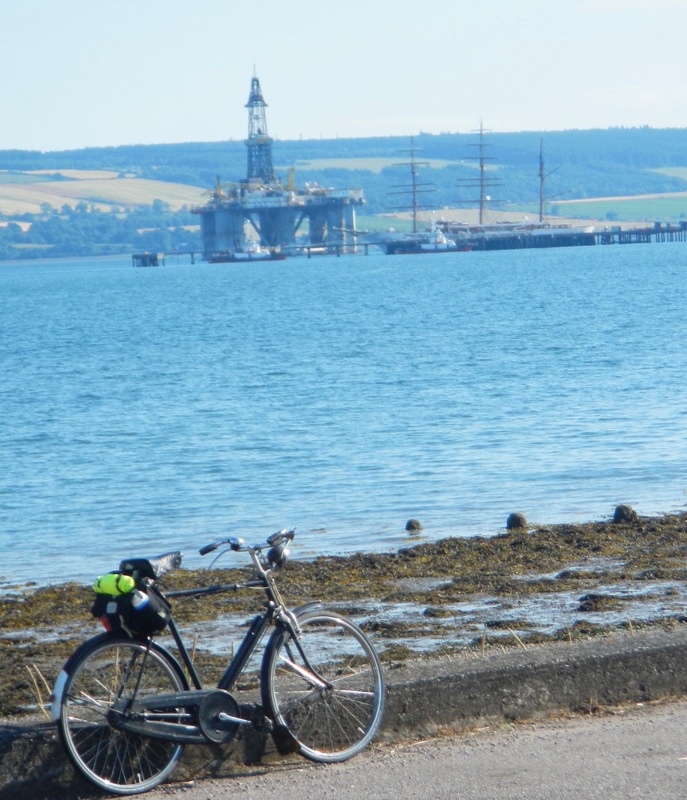 I broached my emergency bag of jelly beans, and my mood improved so I diverted through Invergordon purely because I like looking at the sea monsters (oil rigs) they have jamming up the Cromarty Firth. I got a bonus. Look closely and you'll see an elegant clipper bow sticking out. By the end of the day I'd knocked up 93 miles. I had my GPS in my pocket because I didn't want to get into the trap of trying to hit certain speeds or worrying about my average, which was just as well because I don't recall being beaten up so much in a long time and I'd have otherwise been tempted to do a a wee loop on the Black Isle to round it up to the 100 mark. All in all, a great summer's day out. Brian , you put the rest of us to shame. Spent yesterday watching the Tour, the same today, the same since the start, can't seem to drag myself away from it, except getting out on MTB with Keith and Kenny. Seem to remember the Struie, in a car , the AA call-box looks familiar, can't be many of them left out in the wilds, wonder if it still works? But once I got to Tain I discovered they close at 3:30 and I had just missed them. By the end of the day I'd knocked up 93 miles. You could have carried on another 10 miles out of Tain and got a decent cup of tea here, which would have comfortably knocked your mileage over the magic number! Once I converted it to km, my obsession at rounding out was satisfied - 150km. Might even be able to drag Jamie down for it - he has some nice pieces of old iron. Last edited by epicyclo on Sat Jul 28, 2018 10:08 pm, edited 1 time in total. 'he has some nice pieces of old iron' How dare you sir!